As you know, there are several major modes of transport used by national and international freight shippers. These include road transportation, rail transportation, air transportation, and sea transportation. While each of them is very important to the shipping and freight forwarding industry, one method of cargo transportation has always been the most beneficial and popular with shippers all over the world. We are now talking about ground freight shipping, which includes trucking, rail transportation, and shipping cargo by land on the whole. At Fine Art Shippers, we ship fine art and other valuables using different modes of transport and sometimes combining several of them to provide the client with the fastest and most cost-effective shipping solution. However, while air and sea transportation is the only way to deliver cargo overseas, when it comes to transporting freight across the country, there is no better option than ground freight shipping. Let’s look at several main reasons why this method of cargo transportation is so popular today! First of all, ground freight shipping is usually the cheapest and most effective method of transportation offered by all fine art moving companies and other international freight shippers. Secondly, in most cases, you can track the truck or another vehicle if you want. Finally, ground freight shipping is closely related to door-to-door delivery, so if you need a white glove art courier service, this method is just a perfect option for you. 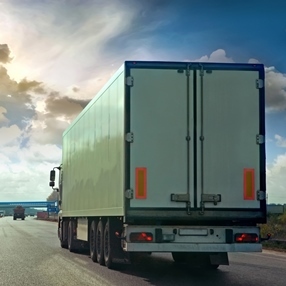 One more important thing about ground freight shipping is that this method offers flexible transportation solutions tailored to meet the client’s needs. For example, whether it comes to national or local transportation of art, antiques, or any other items, your options may include full truckload (FTL), less than truckload (LTL), partial truckload, regular shuttles circulating across the country, and intermodal freight shipping, which often combines road transportation with rail transportation. In this way, while ground freight shipping is not as fast as air transportation, it has lots of benefits, which makes this method a preferred one for many shippers. At Fine Art Shippers, we understand that and, therefore, offer a variety of ground freight shipping options to meet any need and budget. From same-day deliveries within the Tri-State Area to long-distance transportation of large and heavy items, we are your all-in-one solution to any shipping problem! Contact our team now for any additional information you need!